Our large G50 Globe shaped bulbs are ideal for setting the prefect mood for an outdoor patio, garden, restaurant, or where ever you need ambient festive party lights. 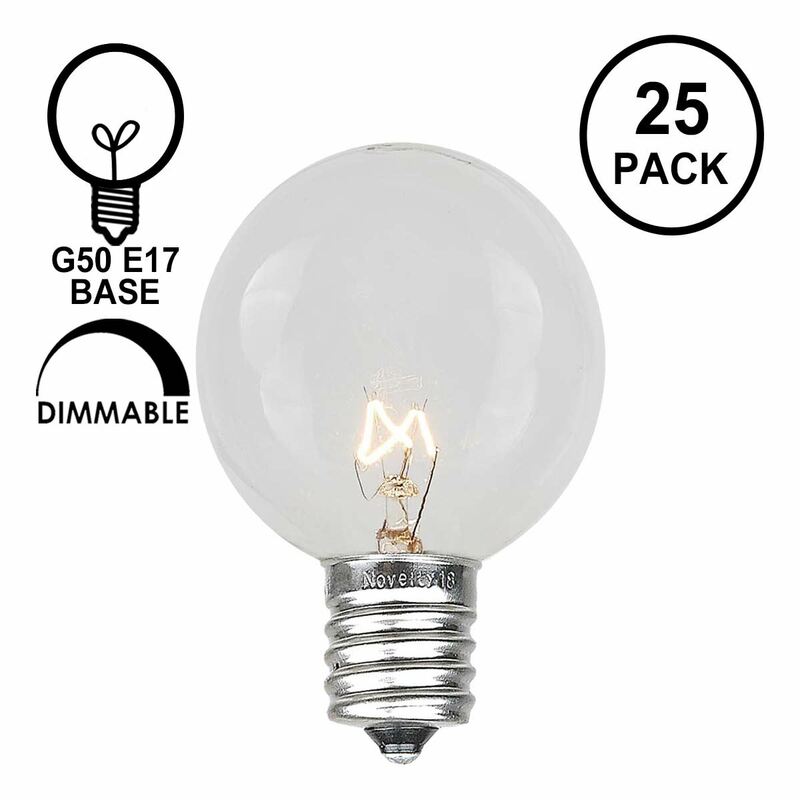 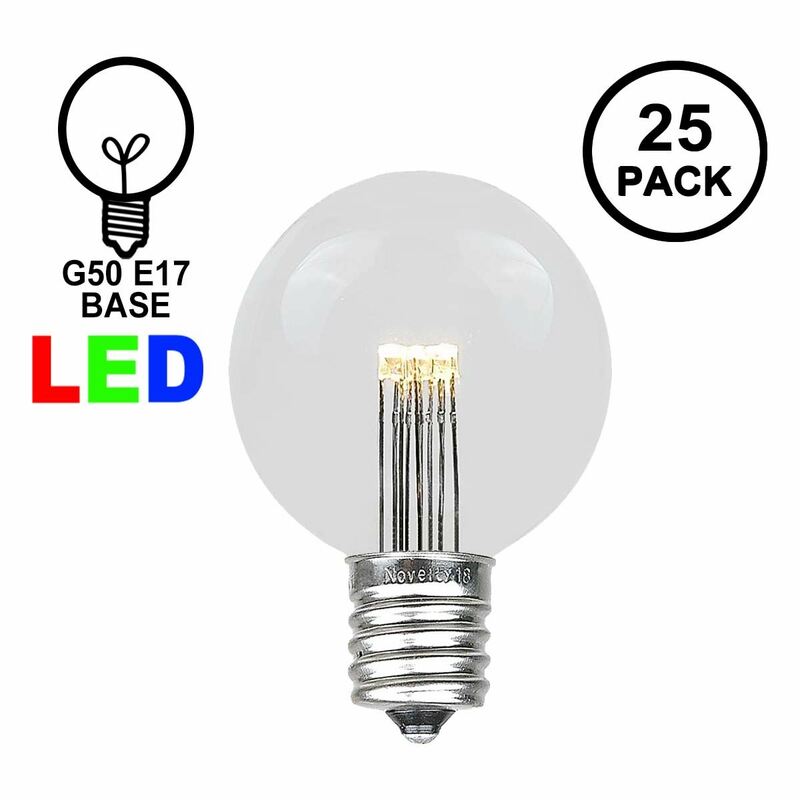 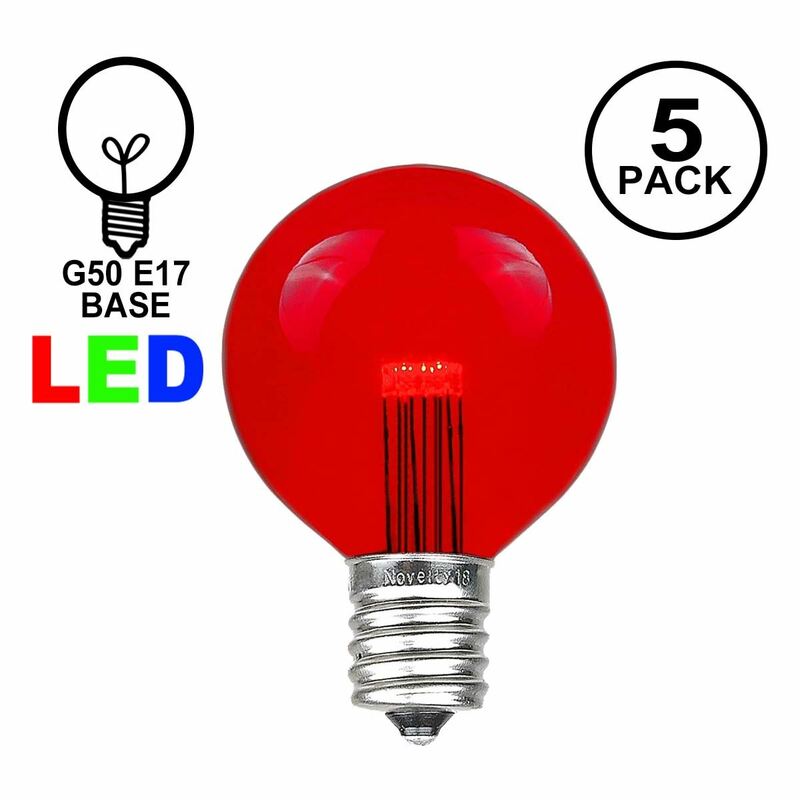 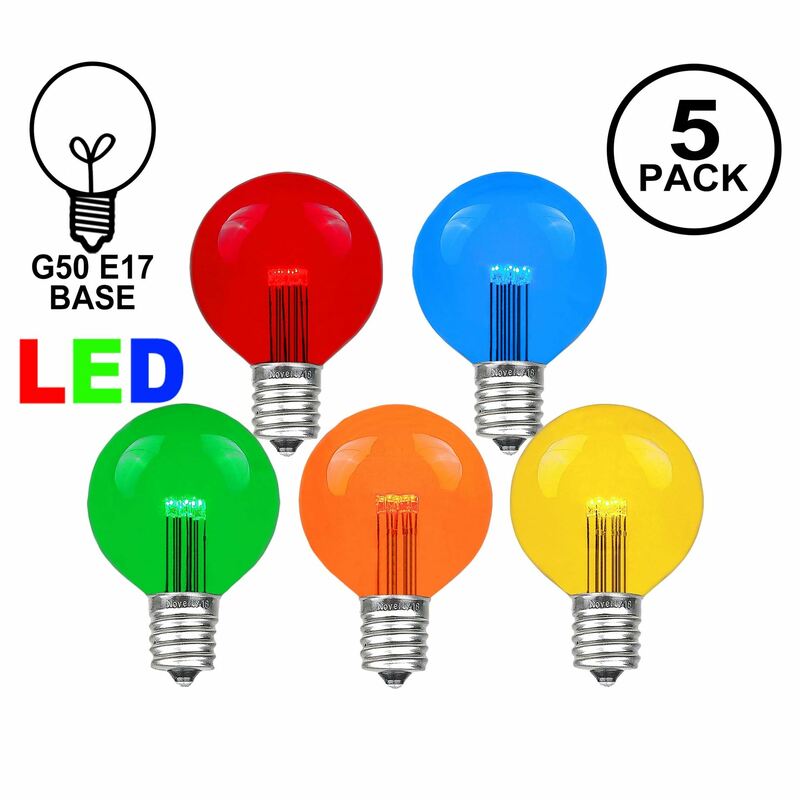 These 7 watt round G50 bulbs measure 2" in diameter and screw into C9 Stringers, Commercial Grade Intermediate Base (e17) Stringers, or e17 Vintage Twisted Wire Strings with Bakelight Sockets. 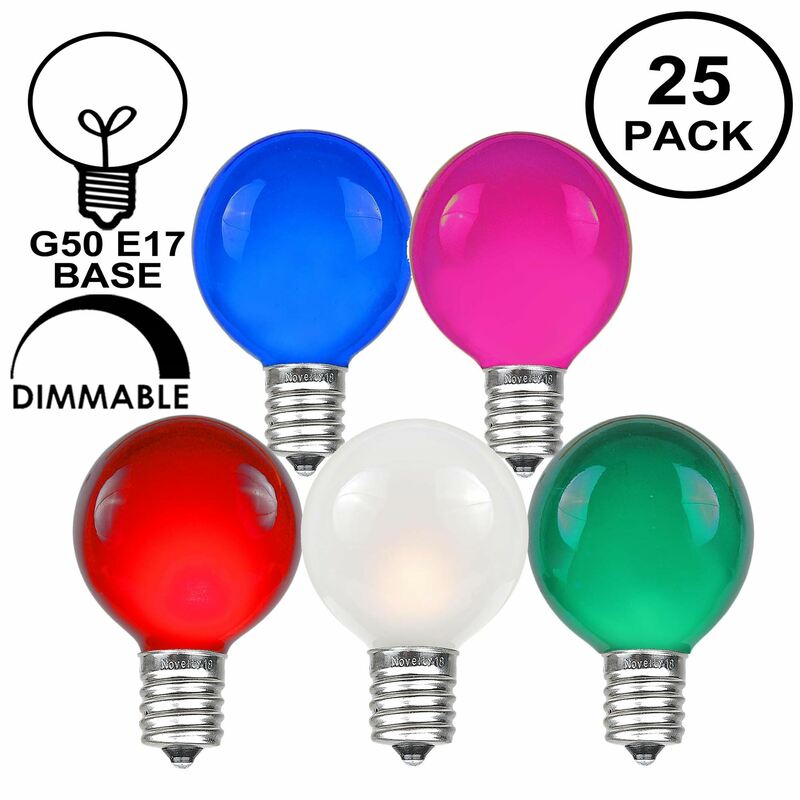 You may also be interested in our G50 Globe String Light Sets. Not sure which size bulb to get? See our comparison of all of our globe shaped bulbs.